Weekend Passes At The Door. Check out this unique dual lane water slide and slip and slide combo, the Super Helix Water Slide. 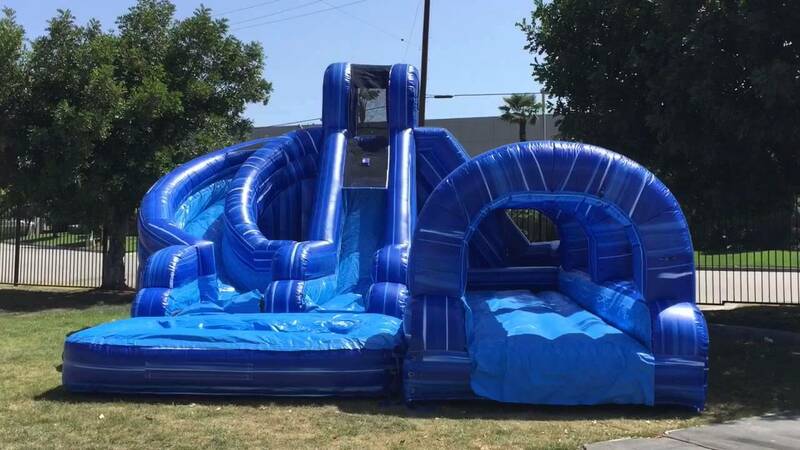 This awesome dual lane inflatable slide features a slip and slide where riders will be sliding to get to the climber, climb to the top, than have the option to take either a straight slide or a curved slide, both leading into a big pool of water for a splashing good time. Great for cooling off during those hot Summer days. The Water Slide Will Be Available All Weekend!